The QTLTS class II and III forklift scale allows you to weigh loads without altering your normal forklift truck routine. It is the ideal solution for monitoring loads handled by forklift trucks. 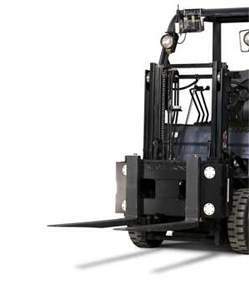 The QTLTS forklift scale is extremely accurate, consistently providing 99% or better weight accuracy of the applied load regardless of the position of the forks or mast.